The ScanEagle unmanned aerial system (UAS) is one of the most widely used tactical UAS in the world, having flown over one million flight hours globally. The ScanEagle system consists of multiple remotely piloted aircraft (RPA), a pneumatic catapault launcher, a Skyhook recovery system, and a ground control system (GCS) with associated antennas and interconnections necessary for command and control of the RPA component. ScanEagle RPA is a small carbon fibre, long endurance, fixed wing aircraft capable of runway independent operation from land bases and seagoing vessels. A ScanEagle unmmanned aerial vehicle launches from the flight deck of HMAS Newcastle during operational evaluation trials. The RPA typically carries one primary payload and is of a modular design that allows for rapid changes of payloads and other components. Presently, Navy operates electro optical and infrared primary payloads. Other payloads include Visual Detection and Ranging (ViDAR), Maritime Automatic Identification System (AIS) and Identification Friend or Foe (IFF). 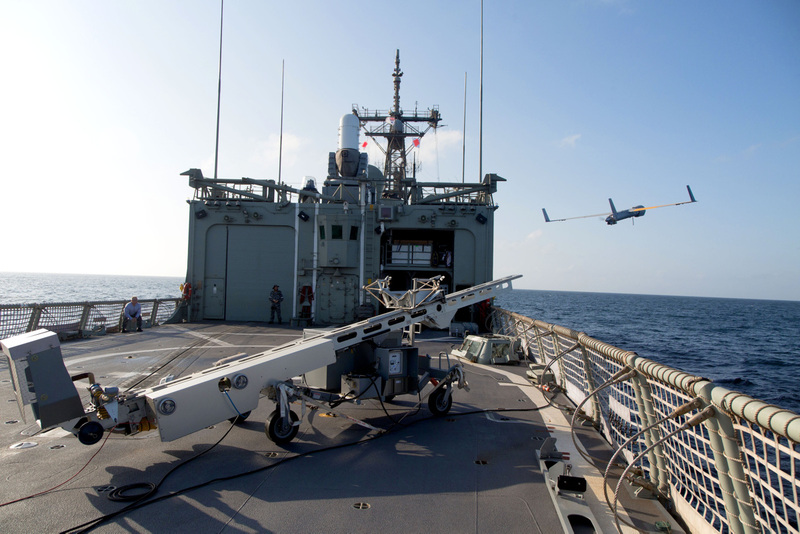 To support the introduction of Maritime Tactical Unmanned Aerial Systems, ScanEagle conducted the Royal Australian Navy’s first simultaneous operations of manned (MH-60R Seahawk) and unmanned aircraft during HMAS Newcastle's deployment (Rotation 65) to the Middle East region on Operation MANITOU. 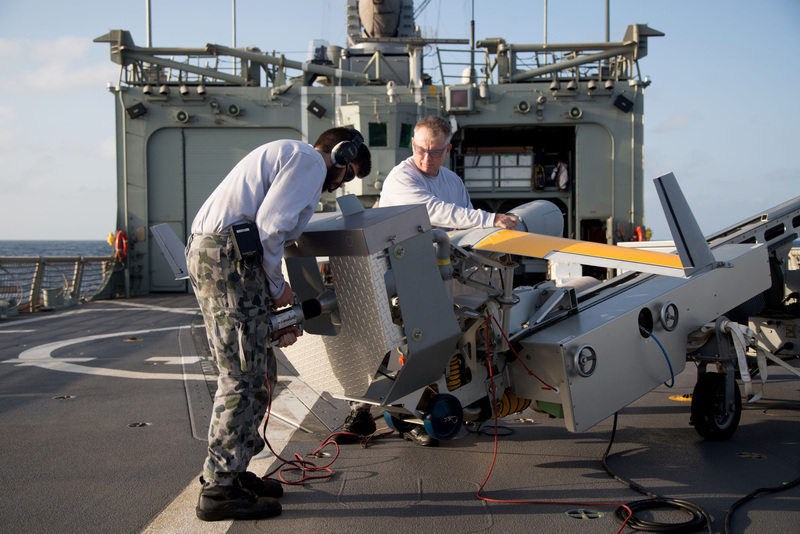 Able Seaman Aviation Technician Aircraft Daniel Debritt (left) powers up the ScanEagle propeller during unmanned aircraft vehicle (UAV) during flying stations onboard HMAS Newcastle in the Middle East region.